This is possibly the most difficult method of typing I’ve ever seen. A MINIATURE typewriter, novel because the keyboard characters are attached to a pair of gloves, was recently invented by a Tyrolian merchant. The apparatus, which threatens to revo-lutionize the present office typewriter, consists of two parallel rails between which are mounted a small carriage, a typewriter ribbon and an automatic spacer. 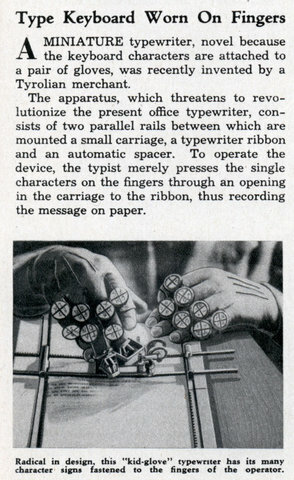 To operate the device, the typist merely presses the single characters on the fingers through an opening in the carriage to the ribbon, thus recording the message on paper. 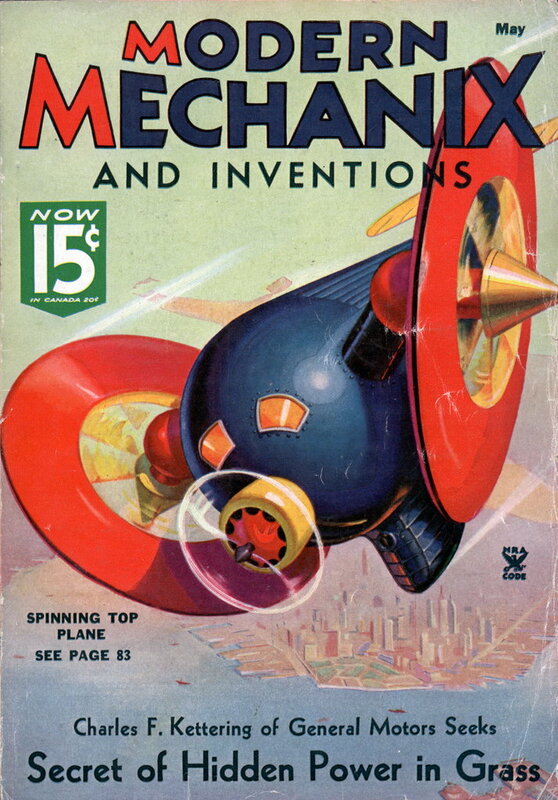 That’s pretty cool, but you’d have to be a genius or psychic to operate it.